M Venkaiah Naidu said “High level visits by Indian leaders to identified countries and regions of the world are affirmative statements of intent to enhance cooperation for mutual benefit”. 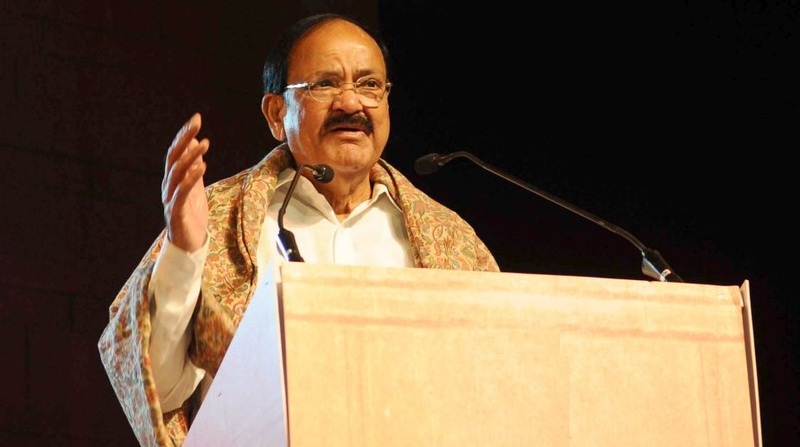 Vice President M Venkaiah Naidu on Monday said that his visit to three Latin American countries has addressed the ‘high level contact deficit’ with the important region and would help in improving bilateral trade and investments for mutual benefit. On the whole, this long overdue visit of a high level Indian delegation to the three Latin American countries proved useful in addressing the ‘contact deficit’ and in laying fresh foundations for more energetic and purposeful engagement for mutual benefit. While briefing the media before leaving for New Delhi after concluding his week long visit to Guatemala, Panama and Peru, Naidu said “High level visits by Indian leaders to identified countries and regions of the world are affirmative statements of intent to enhance cooperation for mutual benefit”. “India has embarked on such engagements over the last four years and this visit is a part of that well thought out outreach. This is in line with India’s vision for a better world through collective actions for shared benefits”, said Naidu. A delegation led by me has just concluded one such visit to three Latin American countries of Guatemala, Panama and Peru. India has embarked on such high level engagements over the last four years and this visit is a part of that well thought out outreach. The Vice President explained that the three Latin American countries offered significant opportunities for India, given their high level of engagement with the USA and the other North and South American economies through regional arrangements and Free Trade Agreements, besides being logistic and financial hubs in the region. Guatemala, Panama and Peru are middle and upper middle income economies with abundant natural resources with huge potential for cooperation with India in the context of shared quest for improving standards of life of respective people through increased and rapid economic growth. Naidu said that the top leadership of the three Latin American countries have acknowledged the strengths and expertise of India in various fields and it’s fast growing economy which they said could benefit their countries under enhanced engagement. The Vice President stated that during his visit, five memoranda of understanding and agreements have been signed. These relate to training of diplomats and English teachers of Guatemala; Exemption of visas for diplomatic, official and consular passport holders of India and Panama besides a Work Plan for cooperation in agricultural research and Cooperation in New and Renewable Energy with Peru. During the talks with Panamanian leaders, Naidu also announced a total of US $ 25 million Line of Credit for setting up a Centre of Bio-diversity and Drug Tracking and a Centre for Innovation and Technology. Naidu said “Presidents, Vice Presidents and concerned senior ministers of these three countries spending long hours discussing various issues of mutual interest and the road ahead with the Indian delegation has been very assuring”. Guatemala, Panama and Peru have Presidential forms of government. I have held wide ranging talks with the Presidents, Vice Presidents and senior ministers concerned of all these three countries. The Vice President informed that the Indian delegation highlighted the help India could provide in areas of agriculture, IT, Science & Technology, Space applications, pharmaceuticals, textiles, New & Renewable Energies. He also said that these three countries who suffered from various forms of terrorism supported India’s efforts for global action against all forms of terrorism. “They firmly reiterated support to India’s Permanent Membership in the United Nations Security Council as the largest democracy of the world and an important voice on global issues” Naidu said. Naidu was accompanied by Minister of State for Tribal Affairs Jaswantsinh Sumanbhai Bhahor and four Members of Parliament Tiruchi Siva, Anil Desai, Shri Kamlesh Paswan and Chhaya Verma besides Preeti Saran, Secretary (East) and senior officials.